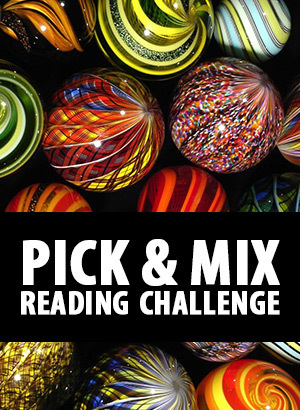 Historical Reading Challenge – completed! I’ll certainly continue with Peters’ series (in fact, I’m listening the next one right now) and also with Dumas’ and McCleary’s series. 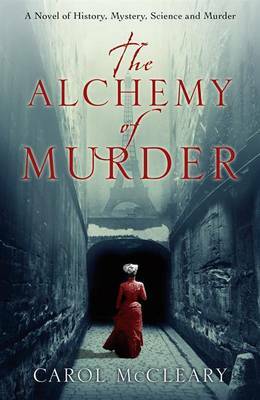 World’s first woman journalist investigates a murder mystery in 1889 Paris. The book is mostly set in 1889 Paris during the World Fair and an epidemic of Black Fever. It’s supposed to be the main character Nellie Bly’s manuscript which has been now found and published. There are even some footnotes from the Editors which usually tell more about things that are only lightly touched on or what happened later to other characters. The book starts in Paris where Nellie is in disguise as a prostitute and following the man she thinks is responsible for killing several women, mostly prostitutes. Then it jumps back to the start of Nellie’s career; how she got a job as a reporter because of her determination and because she’s a woman and can go to places where male reporters can’t go. One of her first stories is about the apalling conditions in a mental institution for women, the Blackwell’s Island. She pretends to be crazy and spends two weeks in the institution as a patient. There, she also encounters the mysterious Dr. Blum who is murdering the patients and throwing the bodies away. Unfortunately, Nellie doesn’t get a clear look at the Doctor, only a vague outline of a broad man with a black bear and long hair. She manages to escape his clutches but nobody believes her story. The Doctor moves to London where he brutally cuts up several women. Nellie follows him and helps the police. Unfortunately, the man manages to flee, this time to Paris and Nellie follows him again. After about eighty pages of Nellie’s previous career and adventures, we return to Paris where Nellie is convinced that she has just witnessed Dr. Blum killing another woman. However, the police doesn’t believe her and instead arrest her. She manages to escape and realizes that she will need a partner for the first time in her life. She’s always admired Jules Verne and read his books, so she turns to him for help. Unfortunately, Mr. Verne isn’t interested in helping her and she has to lie to get him even to talk to her. Eventually, Verne reluctantly agrees to help her and together they set out to search Paris for the mysterious man. Paris is suffering under the attack of the virulent Black Fever which is killing especially the poor people. Most of the book is told in first person by Nellie. However, there are short but crucial passages in third point-of-view which tell about Dr. Pasteur’s and his assistants research about the Black Fever, and even the villains’ doings. No explanation is given for the inclusion of the scenes which Nellie isn’t present. Nellie is a passionate and determined woman, and she has to be in order to get her job and then keep it. All the time, the men around her underestimate her and try to keep her safe. Some even tell her flat out that she should be at home caring for her (non-existent) husband and kids. She has to be very convincing to get men to believe her. The Paris police dismiss her out of hand although Nellie thinks that’s at least in part because they don’t want to disrupt the Fair and cause a panic. Jules Verne is here in his sixties. He’s shaven his customary beard and is in Paris somewhat incognito. He tells Nellie that he’s there “to kill a man”. However, almost against his better judgment he’s drawn to the case and once he’s convinced that Dr. Blum must be stopped, he’s determined to do it. Still, for a famous author he’s pretty glum. He also constantly antagonized Nellie with his sexist opinions. Dr. Pasteur is mostly doing his own research about microbiology and isn’t as involved as Verne. Oscar Wilde does appear but after the halfway point of the book. The book has some illustrations by Edouard Cucuel which were apparently published in Bohemian Paris of Today in 1900. They complement nicely McCleary’s descriptions of the famous Parisian places such as the Moulin Rouge, Café Procope, and Le Chat Noire. Unlike most historical novels I’ve read, Nellie doesn’t move among the upper class but instead among the poor and the middle-class, and McCleary describes them well. Occasionally, Nellie reminds us about the differences in attitudes of the reader and the characters. For example, back then hospitals were only for poor people; doctors made house calls to other people. Also, many doctors simply don’t believe in Pasteur’s tiny animals and don’t wash hands between patients. Anarchists play also a large part in the book. They threaten Paris with bombings and make passionate speeches on the street. Louise Michel and her group make an appearance. Despite the descriptions of poverty and suffering, this isn’t a serious history book. It has an outrageous plot and the characters don’t really shine except for Nellie herself. Still, it’s fun, I enjoyed it, and I’m very likely to continue to the next one where Nellie travels around the world in 72 days. The fourteenth book in the Amelia Peabody series where she confronts nasty villains armed with her trusty parasol. The year 1917 has just started. The First World War is still raging but the Emersons and their entourage are traveling to Egypt. This time they are staying indefinitely because traveling between England and Egypt has become too dangerous. The Emersons are bringing with them their niece Sennia and their butler Gargary. This year, the Emersons have the permission to excavate in Luxor. They have barely just started to settle into their house when things start to happen. First, Emerson’s half brother makes appearance in disguise and disappears swiftly, enraging Emerson. Then, they hear that tomb robbers have found a new, rich tomb. The Emersons’ old friends, the Vandergelts, managed to buy an object that seems to prove that a Queen’s tomb has indeed been found. Naturally, the Emersons’ want to save the tomb from the robbers. However, they have to also deal with the fall-out from the problems they had the previous year. Jamala and her villainous brother Jamil return from the previous book. The man threatens to kill Ramses and Jamala is in a bad position. Her father has disowned her because she wants a life of her own and the Vandergelts are training her to become an Egyptologist. Her brother is also in contact with her and she feels that she has to protect him. Yet, she owes loyalty to the Emersons and the Vangerdelts, too. Also, Bertie seems to be smitten with her. Meanwhile, the Army has again a dangerous mission to Ramses and his wife and parents aren’t happy about it. Peters is in a fine form here. 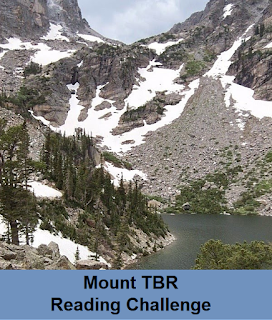 The book has a lot of humor, adventure, and mysteries. 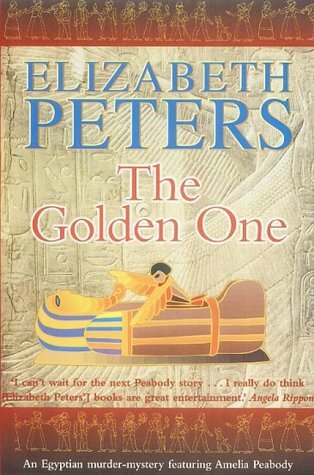 However, the mysteries surrounding the tomb take a back seat to Ramses’ adventures during the middle of the book. The book is again divided between Amelia’s first-person memoirs and document H which Ramses and his wife have written in third person. The familiar cast of characters includes the Egyptian workers, Sethos, Vandergelts, and Catherine’s son Bertie, who was injured in the war. David and Lia don’t appear. There are some new characters as well, such as the Albions who are an American family who are out to “collect antiques” or rather rob everything they want which, of course, enrages Emerson. There’s some Victorian double standards which Amelia and Nefret hold up; an (unmarried) woman shouldn’t be alone with a man or she gets what she’s asking for. On the other hand, I’m really surprised that this sort of teaching isn’t included in the Islamic upbringing that Jamala has. Or perhaps in Islamic culture, young women aren’t ever alone with young men, so there no need to tell women not to do it. Anyway, I found Jamala a bit too naïve for her own good but that apparently tended to be the norm with Victorian girls. Overall, I enjoyed the book a great deal. The Americans were great foils to Emerson and even Ramses’ adventures were quite humorous and preposterous. (For me, his previous efforts in the war were a bit too serious with all the torture and arms dealing.) Also, courtship romance took a back seat to adventure. I guess I must admit that I did listen to an abridged version. In English translation the name of the book appears to be Twenty Years After. In Finnish, the name of the translation is the Return of the Musketeers. We also have a collected edition of all these later stories and this is the first story in that collection. D’Artagnan has served as a King’s Musketeer for twenty years and he’s still a lieutenant. He’s bitter and doesn’t have much ambitions anymore. His three friends have all gone their own ways and they haven’t seen each other in almost twenty years. The current Cardinal, Mazarin, is the Chief Minister and is trying to govern France. The current King is only ten years old and his mother, Anne of Austria, is his regent. Mazarin and Anne are lovers and have married in secret. Mazarin is depicted as a greedy and small minded man who isn’t a worthy successor to the great Richelieu. D’Artagnan comes into the attention of Mazarin who is trying to find trustworthy men to work for himself. After both de Rochefort, the Musketeers’ previous enemy, and Anne speak for D’Artagnan and his three friends, Mazarin decides to trust them at least for a time and sends D’Artagnan to find his friends and lure them back into service. The writing style here is as leisurely as in the previous book and this book is really just setting up the story to come. The narrator tells us a lot about the politics of the times and the political climate where young the King is popular and Mazarin is hated because he raises taxes. At the start of the book, D’Artagnan is described as moving and acting like an automation but once he gets out of Paris and is looking for his friends, he quickly gets back his old, more lively manner. He starts to resent his post as a mere lieutenant and wants to get enough money to buy back his family’s old castle and lands. The other musketeers have changed somewhat but have still their previous habits; Aramis is now a priest but he still has a mistress, and eats and lives well and Porthos owns several castles but years for his old adventuring days. Athos has changed perhaps the most; he has an adopted son who is the apple of Athos’ eye. The story doesn’t yet even start properly in this bookbut I enjoyed a more leisurely paced book for a change. 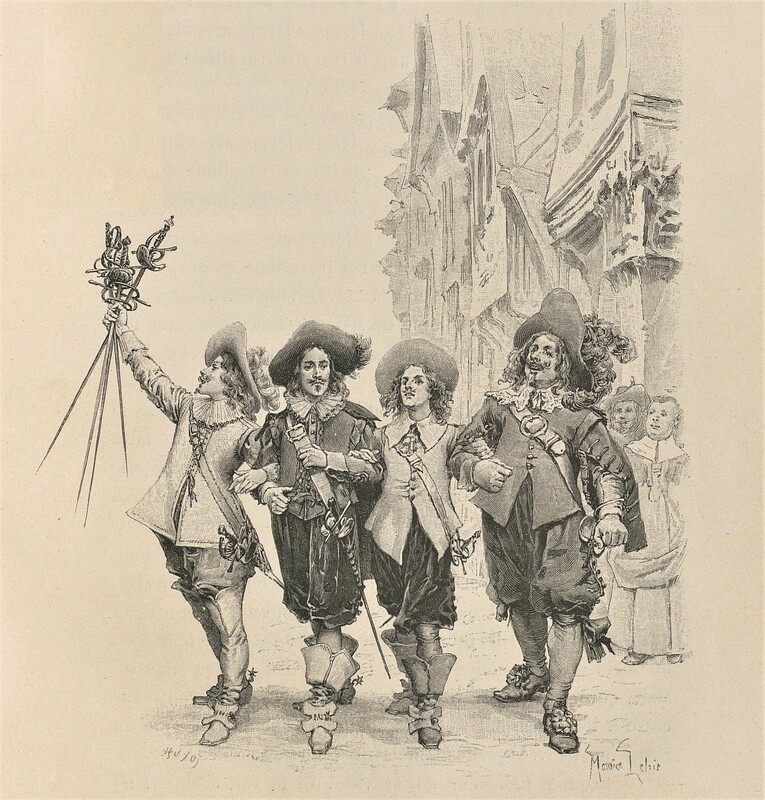 Les Trois Mousquetaires in the original French. I read the Finnish translation which has almost a thousand pages and illustrations by Maurice Leloir. I’m more familiar with the various movies and the cartoon than the book. Given how distorted the movie versions of books usually are (at least the ones I’ve seen), I was a bit surprised how well the movies usually capture the personalities of the four main characters. The plots, however, are often shortened or changed although I seem to recall that the most usual plot is the three musketeers plus one racing from Paris to London in order to retrieve something precious to the French queen. This is, in fact, the second plot in the book. I assume that people know enough about the book, so there are going to be spoilers. At the start of the book, the protagonist D’Artagnan is described as a hot-headed young man who is just looking for an excuse for a duel. When he meets the three musketeers one by one that’s exactly what he does – insults them in a seemingly small way and arranges a duel with each of them on the same day. However, once the four fight together against the group of the Cardinal Richelieu’s men, D’Artagnan and the musketeers aren’t as quick to take insult. Or if they are, that’s not significant to the plot and it’s not shown. However, later, when he returns from London, the narrator describes him as man who is cautious by nature and this characteristic is attached to him throughout the rest of the book. The other musketeers keep their personalities throughout the book, though. Athos is the silent strong type (sorry, couldn’t resist :)). He rarely smiles. He’s even taught a sign language to his servant Grimaud so that he doesn’t have to talk with the servant. He’s had one tragic encounter with one woman in his past and so he hates and mistrusts all women everywhere. Aramis is a dandy and a poet. He would like to be a priest except that he likes women more. Porthos is a hard drinking and loud man who thinks slowly but occasionally gets good ideas. All of them are very good swordsmen and eager to fight. At the start of the book, it’s made clear that these names are just covers for their real identities, and that they are really high-born nobles. The concept of honor that the musketeers have here is somewhat different than in the movies and certainly different than in the cartoon. For one thing, except for Athos, they all have affairs with married women and this doesn’t go against their honor, or the honor of the ladies, either. They have all sworn allegiance to the King but at the same time, they have an on-going feud against the Cardinal’s men who also serve the King. In duels they are, in essence, murdering faithful Frenchmen. Also, D’Artagnan essentially seduced Mylady’s young maid and abused her trust thoroughly, and yet he didn’t see it as dishonorable. Mylady is the most significant female character in the book. She’s very beautiful, merciless, and devious; in other words, an excellent antagonist. In fact, even though the Cardinal is perceived as the main antagonist, he’s seen rarely and in more the instigator of plots. Mylady is is one of his henchmen (henchwoman?) and during the latter part of the book we get to see her point of view. Still, I was left wondering what made her so evil. Near the end, when the tale of her escape from the monastery during her teenage years, is told, I wondered if this was the whole tale or perhaps the monk whom she escaped with didn’t coerce her or at least take a more active part than mere seduced sap. I was expecting D’Artagnan’s mistress, Constance, to be a significant character but she wasn’t seen much. She’s kidnapped (for the second time) pretty early on, around page 350 and don’t appear until very near the end. She wasn’t even a real plot device because for the majority of the book she isn’t seen at all. D’Artagnan thinks about her a couple of times but promptly gets on with his life. Because the book is centered on adventure, this might seem reasonable but when D’Artagnan professes his undying love for her near the end, I can’t help put think of him as a hypocrite. After all, since Constance and D’Artagnan had last seen each other, D’Artagnan has fallen in love with Mylady (and been passionately jealous of her supposed other lovers) and seduced the poor maid. Poor Constance! Constance’s husband (yup, she was married) was described to be pretty despicable fellow; a money grubbing merchant who had the audacity to charge D’Artagnan rent! The landlord was also a coward and became the Cardinal’s spy. Then again, pretty much all merchants and tavern owners were depicted as greedy cowards, and the nobles who tried to get away without paying for their meal or room, were just getting their due. I guess that was the attitude at the times. Of course, plenty of people to day, too, think that they are entitled to free things. Even though it took me almost two months to read the book, it was well worth it. It was fascinatingly different from modern times and I might even call it a more alien culture than what I’ve seen in most of the science fiction and fantasy I’ve read. I might even look up the sequels. I’ve already borrowed the first sequel from the library.